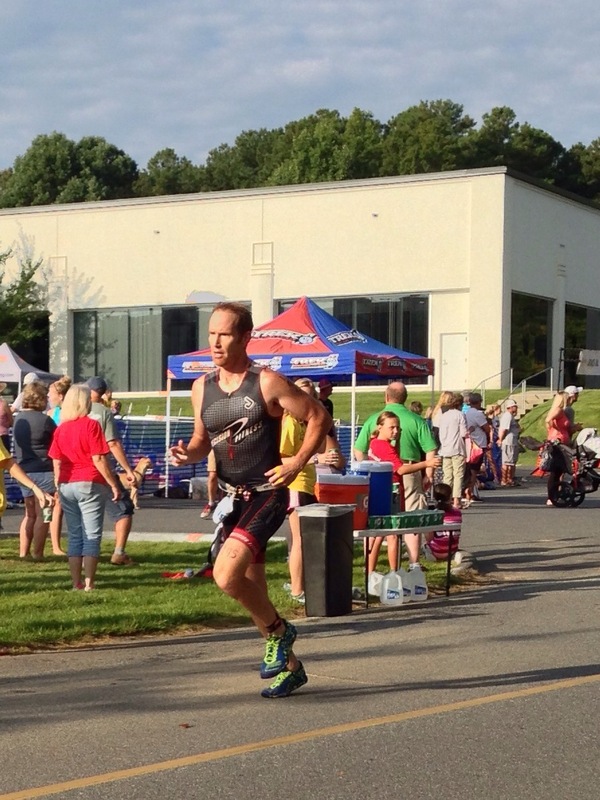 Only 2 weeks after the YMCA Tri, I decided to take part in the Lake Davidson Tri. It is a great event and was looking forward to taking part in it. I arrived about an hour early to transition, got setup, went for a quick run, then in for a quick swim. Before the start I had noticed that this race was much bigger than the previous year. Now being part of the Jimmy Johnson series, it had brought out a lot more competition. I was in the second wave, the gun went and we were off. With the swim being a short 500…everyone stayed together more, which led to a quite a bit more of a WWE style swim. After being beaten a bit in the swim it was out of the water and a little run to transition. I jumped on the bike and took off. The course was very similar to the previous race so I was familiar with it. It went well passing many people. I battled one rider back and forth near the end…him winning the downhill and me the uphills…I arrived before him in transition, quickly changed and never saw him again. The run course was straight forward, just go hard. I passed everyone I saw feeling pretty good. One thing though, Mike B had passed me early in the bike and I wasn’t sure if I would see him again…well turns out I did at mile 1 of the run…passing him along with some others. I finished as strong as possible but honestly felt sub par the whole race…I think all my late season racing was catching up to me. 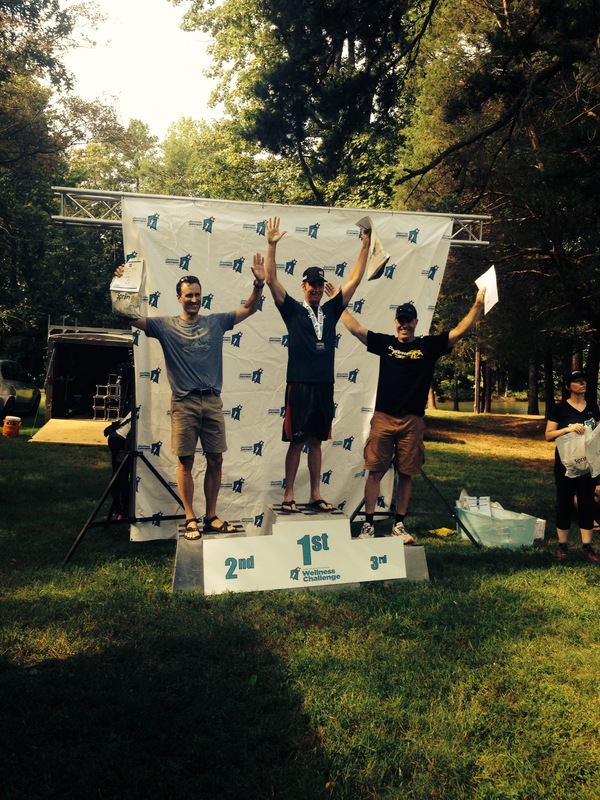 But I was happy with the result… 1st AG and 7th Overall. It was a great after race setup…BBQ…Ice Cream…stuff for the kids…and great prizes…very well done.